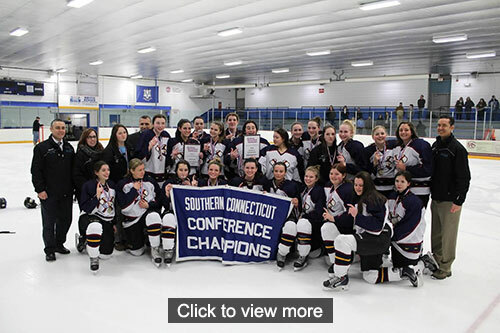 Known as the ETB (Eagles/Tomahawks/Bobcats), our girls hockey team is comprised of students from Glastonbury, South Windsor, and East Catholic high schools. Their speed on the ice makes for up-tempo and exciting games every time. Dress warmly and come cheer us on!